Crisp and light, a chilled glass of Pinot Gris is the perfect companion for summer picnics. 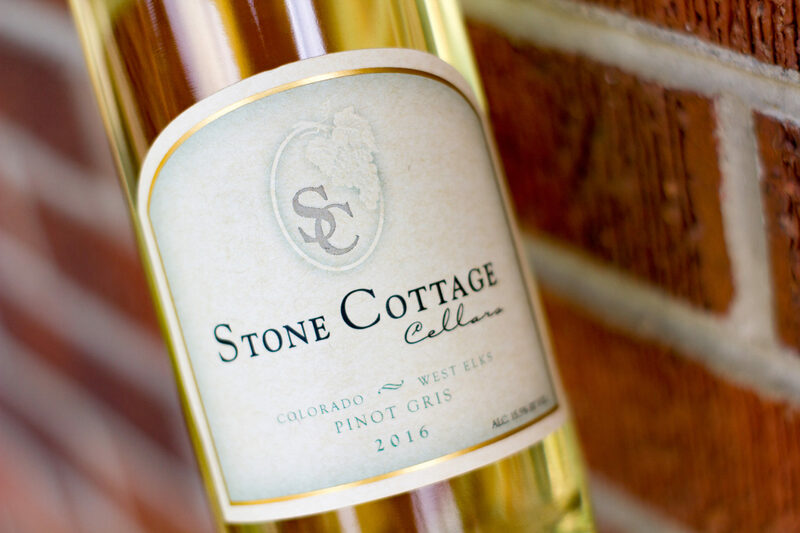 Finish your hike in the Colorado mountains with this lovely complement to seafood, summer salad, cheese, fruit, and fresh bread, or prepare a fresh-caught Colorado Rainbow Trout with a bit of garlic for a delicious local pairing. Grown just down valley from us, this variant of the noble Pinot Noir grape ripened slowly under the watchful gaze of the Babydoll Southdown sheep used to control weeds in this organically certified vineyard. A new vineyard for us, we sampled the grapes every few days to track ripeness and struggled to estimate crop yield. Harvest began on October 1st and was completed by October 3rd. The harvest was crushed, pressed and tested, after sitting on the skins for about 3 hours. Flavor quite light, seeds mostly brown, juice temp 55 F.
After pressing, the juice was allowed to settle overnight and the clear juice was inoculated with yeast the following day. Fermentation peaked at 75 F. The secondary, or malo-lactic fermentation was prevented and the residual malic acid contributed a faint green-apple flavor to the finished wine. We both cold and heat stabilized the wine and prepared to blend and bottle. By July 2017, 160 cases were ready to enjoy.